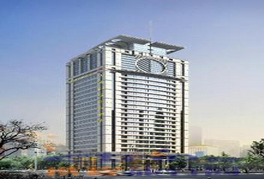 Guangzhou Daysunritz International Hotel is located in downtown Zhongshan Avenue, Tianhe District, the location is very advantageous: to Pazhou International Convention and Exhibition Center, full 5 minutes by car; east Dongpu and Science City, Tianhe business district to the west (Tianhe City and Zheng Jia square).from the Guangzhou East Railway Station about 15 minutes. Face to the Tianhe Park, sitting on large tracts of urban oasis, filling extraordinary quality. 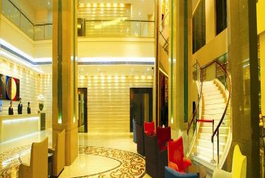 The hotel has 106 well-designed rooms and landscape types of business rooms, ultra-high (20 storeys in height) quiet and comfortable room environment, each room not identical version of the real painting, overlooking the Tianhe Park panoramic floor-to and bathroom classical music, while equipped with bathtub and shower equipment, Tai bathroom, everywhere are Creative design. At the same time, each room are equipped with executive desk and fast, convenient ADSL broadband Internet access system that allows your business activities more convenient.